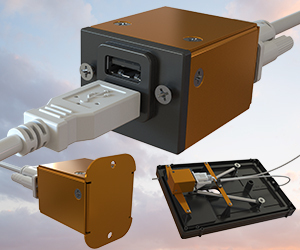 In response to growing demand for USB power in General Aviation cockpits as the use of tablets and smartphones becomes more common, Guardian Avionics is pleased to announce a new line of USB power solutions for both panel mounted and remote mounted applications. The new iFDR Power 250 series provides small, but highly capable power conversion, bringing 9 to 48 VDC systems down to 5 VDC at 2.1 amps to safely power most consumer electronics using a USB-A connection – including most smartphones and tablets like the iPhone and iPad. The new iFDR Power 250 series provides small, but highly capable power conversion, bringing 9 to 48 VDC systems down to 5 VDC at 2.1 amps (10 watt) to safely power most consumer electronics using a USB-A connection – including most smartphones and tablets like the iPhone and iPad.